This month, I am writing at 35,000 feet returning from our first Hawaii Winter Credit Forum. The Forum was a great success with about 50 Hawaiian members and a few Mainlanders, too. It was a very good educational event and, after the survey results come in, we will consider whether this could become a regular offering. Thanks to everyone who attended and a special shout out to UTA, Experian and Dun & Bradstreet for supporting the program. On this trip, I have found myself thinking a lot about customer service mostly because of some negative experiences I had with a couple of companies that usually earn high marks. With the Presidents Holiday, this was an especially busy time to be traveling. Everyone was slammed with high volumes. Some did better than others handling the onslaught and responding to problems. Others missed the boat. I’ve received a number of “How did we do?” surveys in the last 24 hours and have responded to all. In one case, they got right back to me wanting more information. In another case, I’ll be surprised if I hear anything which will be disappointing given the rich traditions of the company. This has me thinking about how we take care of our members and customers at NACM BCS. By and large, we do pretty well but there is definitely – and always – room for improvement. How a company responds to customer needs says a lot about its culture. And, how it stays ever-vigilant about quality customer service has to be woven into the culture, too. Even the best stumble from time to time. We are constantly having to change what we offer and how we do it in order to give our members what they want which is also constantly changing. That leaves us open to making mistakes or missing opportunities to serve you. Whether it’s because of a busy season, getting a little complacent, or just being human and making a mistake, a small failure can dramatically impact a business relationship. In that spirit, we always want to know if you are having a service problem. My best advice: Pick up the phone and call us. Our number is at the bottom of this page. You can also drop an email to: feedback@nacmbcs.org. Or call me directly at 206-973-5096. And, yes, I do answer my own phone. We are here for you and are committed to your success. Please review the other programs and conferences coming up in the next few months. Take advantage of these offerings to help your company and improve your professional skills. We have also offering the first of regular new blog posts written by members of our team. The intent is to offer you some advice and education about areas of interest to you. This month, we deal with Collections. I hope you’ll find this helpful. 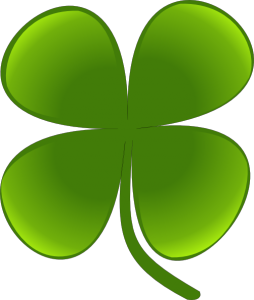 Have a great March and St. Patrick’s Day.